Each day we tend to feel safe in our car, but the air in the interiors of cars may be even worse than household indoor air. Driving a car can be our single most toxic activity. A busy interstate highway has many sources of pollution; gas and diesel exhaust fumes, various particles, pollen, cigarette smoke, and germs. As air rushes over the exterior metal skin, negative charges are stripped away. A positive ionic charge builds up in auto interior air, causing stimulation followed by fatigue. This is why the car air ionizer has become so popular. Flow-through ventilation is required by law: even when the A/C is set to recirculate, all vehicles still exchange some outside air to maintain oxygen in the car’s interior. That “new car smell” that so many people confuse with success comes from evaporating plastics and glues. Wet carpeting, insulation, or air conditioning drip can allow mold to grow inside a car. A vehicle interior is smaller than residential rooms: smoking and side stream smoke are especially concentrated inside an already toxic car. Rooms can be repainted, carpets and furniture removed. Tars and particlulate from smoking can never be removed from automobile headliners and upholstery. According to the above content,it is dangers in your car while it is closed,special the new car. 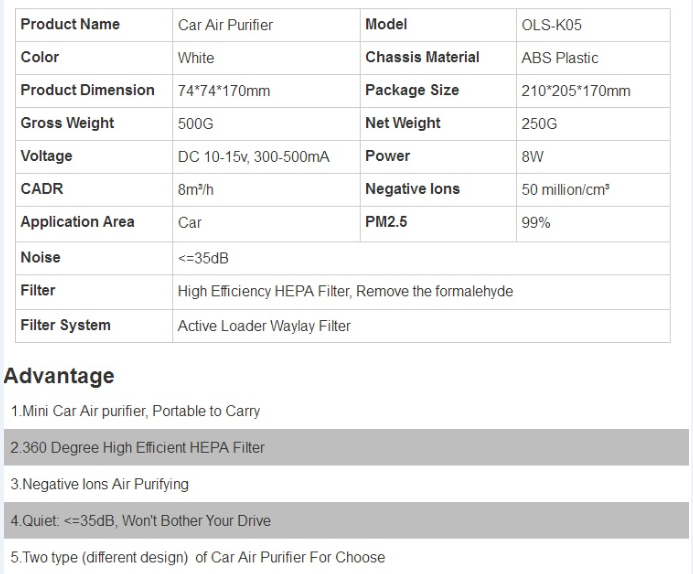 So you need a good car air purifier to ensure the air inside of your car is in good quality. We sincerely suggest olansi OLS-K05 mini car air purifier to you. 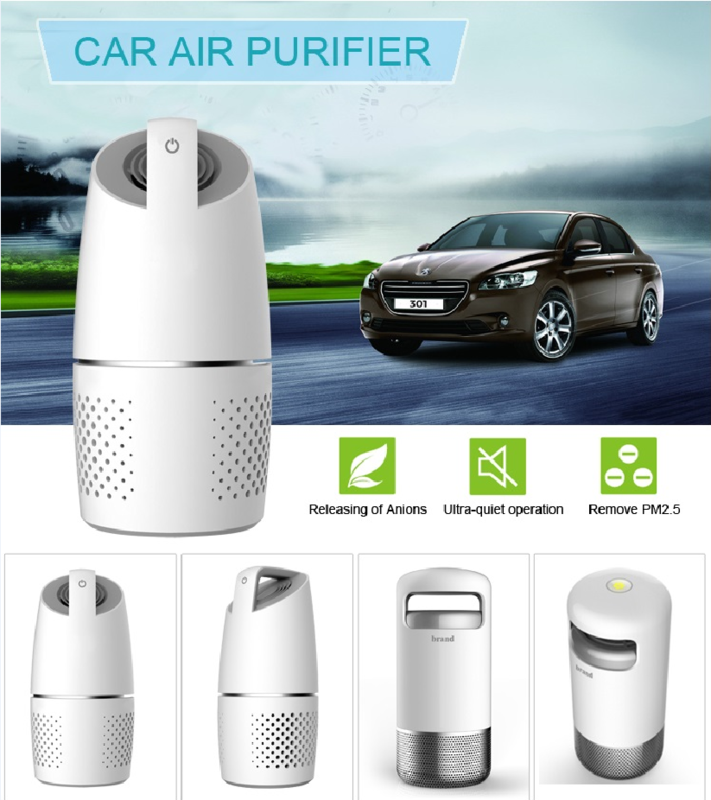 The mini car air purifier is with hepa filter and with ionizer 20 000 000pcs/cm3.